All-new 2018 VW Polo Unveiled! Home » Car News » All-new 2018 VW Polo Unveiled! The sixth-generation Volkswagen Polo was unveiled by the company at its Wolfsburg headquarter in Germany. This latest hatchback has been redeveloped from the ground up and the result is a much larger and sophisticated car. The 2018 VW Polo will be displayed in all its glory at the upcoming Frankfurt Motor Show. Several undisguised images of the test vehicle were leaked previously, therefore the looks were not a surprise for us. This German is based on the latest MQB A0 platform that contributes toward making the car more roomier. Dimension-wise, the new Polo is 4,053mm in length, 1,7511mm in width and 1,446mm in height. This means that it’s 81mm longer, 63mm wider and 7mm lower than its predecessor. The wheelbase too is now increased by 94mm, taking it to 2,564mm. VW has confirmed the engines that will be offered with the latest Polo. There are 9 engine configurations of Four petrol and 1 Diesel engine. All of them will come with engine start/stop feature and braking energy recuperation. If one want a like the crude fuel, VW is offering a 1.6-litre turbodiesel unit in two states of tune- 81hp and 96hp. The Gearbox options include a five or six-speed manual and a 7-Speed DSG unit for the performance variants. From the exterior, the car looks unmistakably a Volkswagen. In spite of following the VW design language, the car looks nothing like the outgoing model. The designers have introduced unique design elements to the car like the distinctive swage line graphic above the door handle. One can tell that its a larger car even without reading the spec sheet. Unlike the currently Polo, the new Polo will only be available with 5 doors. Presently the Polo GTI can be had in a 3 door of 5 door configuration. The new Polo houses trick LED lights with DRLs (Daytime running lights). The cramped rear seat was one of the deal breakers for the current polo. Not now! VW has considerably improved cabin space in this one. There has been 15 mm increase in the front headroom and 30mm increase at the rear. The luggage space is now 351 litres, 71 litres more than its predecessor. Step inside the car and you will notice that it’s nothing like the current Polo. Traditionally, VW’s interiors are very well built but the design is very clean and simple. Now, there is a lot going inside the cabin. The big infotainment unit takes up a lot of space at the centre of the dashboard. 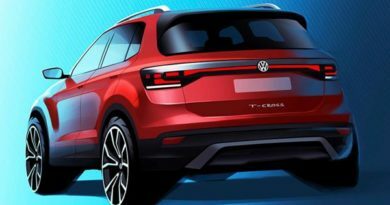 The customers can now opt for Volkswagen’s Active Info Display digital instruments along with a wide number of connectivity functions, including a wireless smartphone charging pad and keyless access. Although the standard instrumentation remains analogue like before. 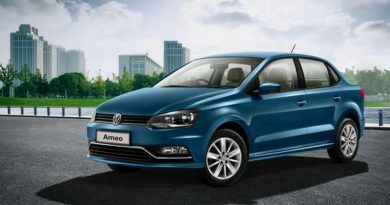 This sixth-generation Polo will be launched in some international markets by the end of this year. That said, we are not sure if this model will make its way to India anytime soon. Interestingly, VW signed a MoU with Tata Motors to use their AMP Platform for developing VW models. Therefore, it’s possible that the Indian polo update could be completely different.